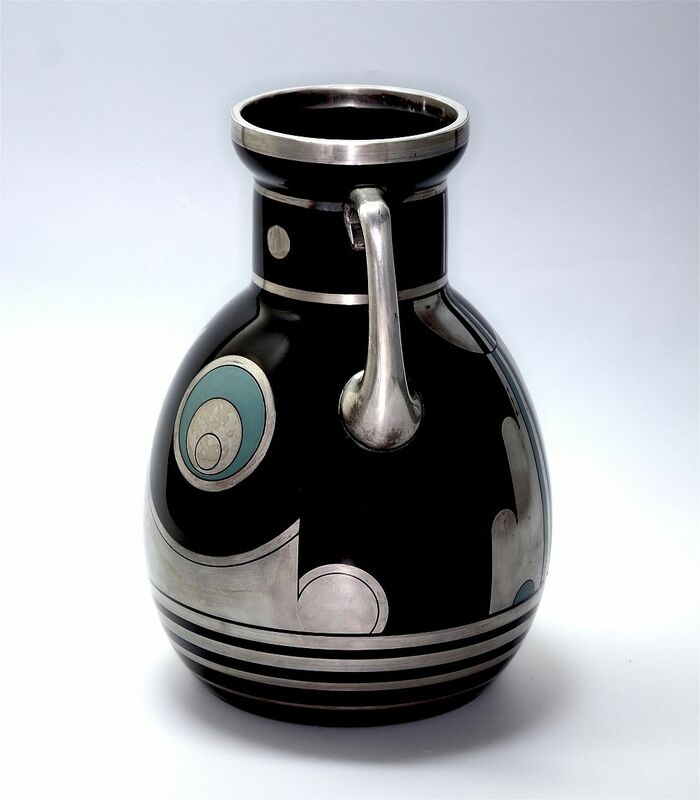 This fabulous large amphora vase is by the Czech company HEM. 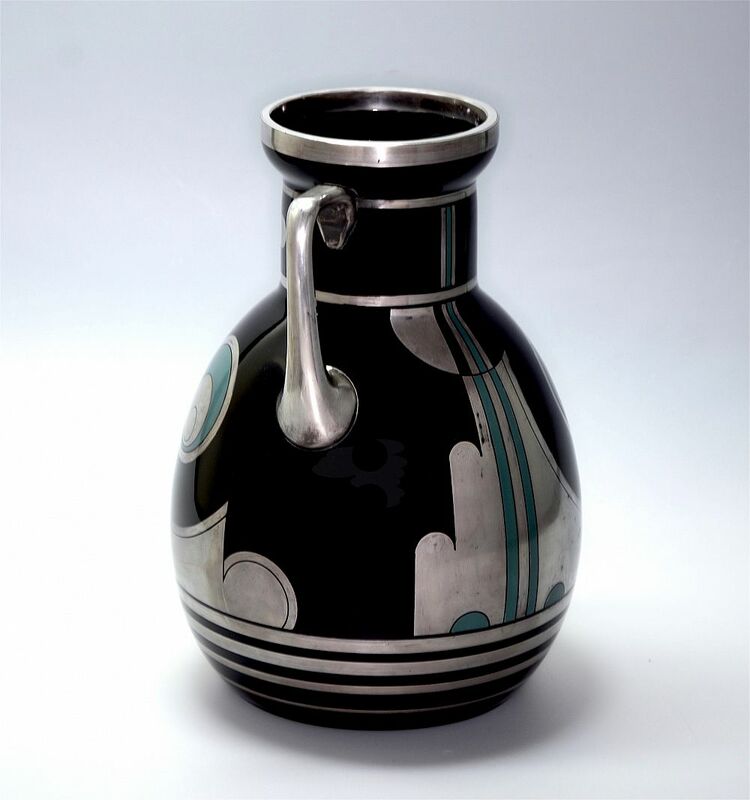 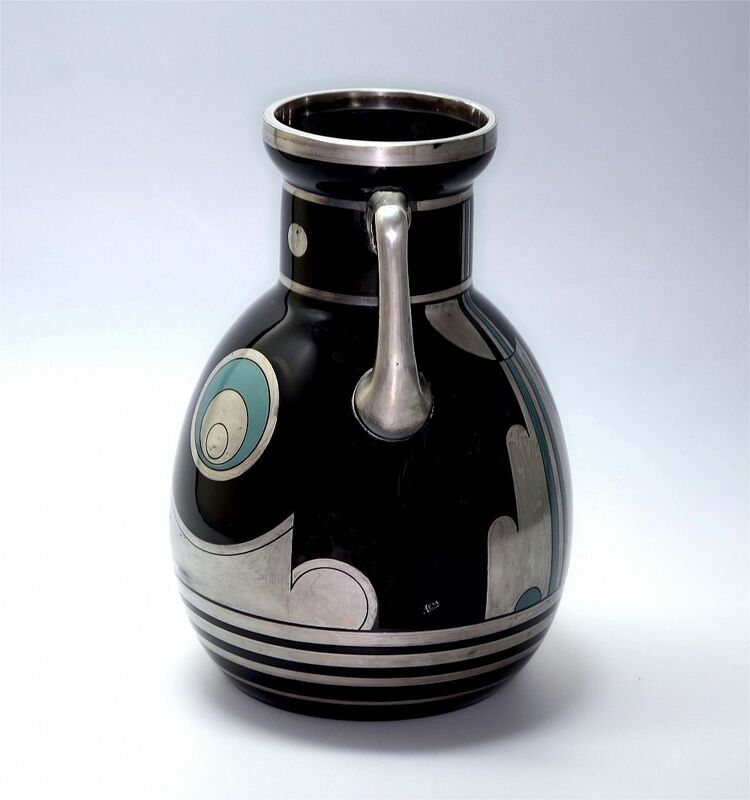 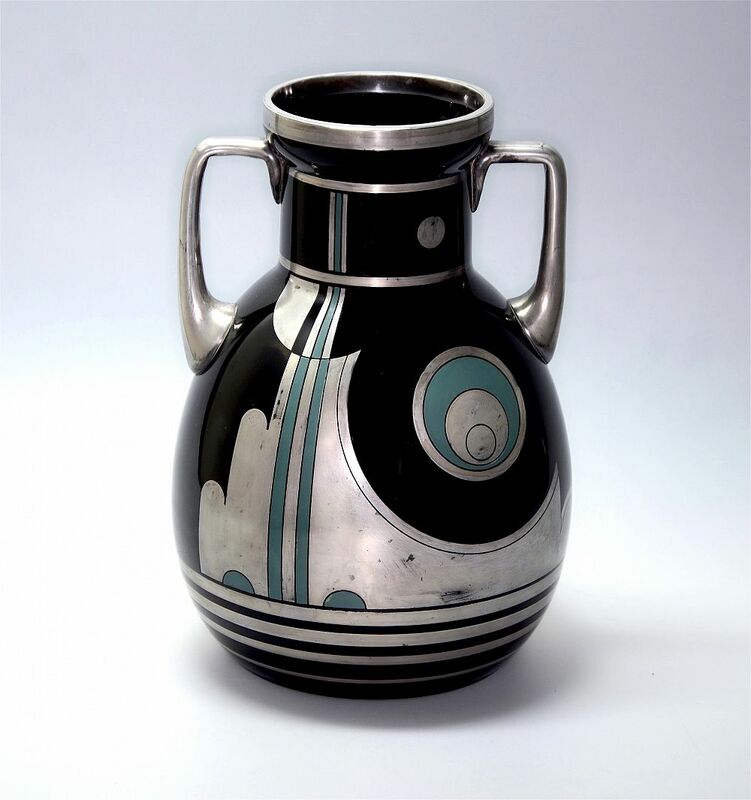 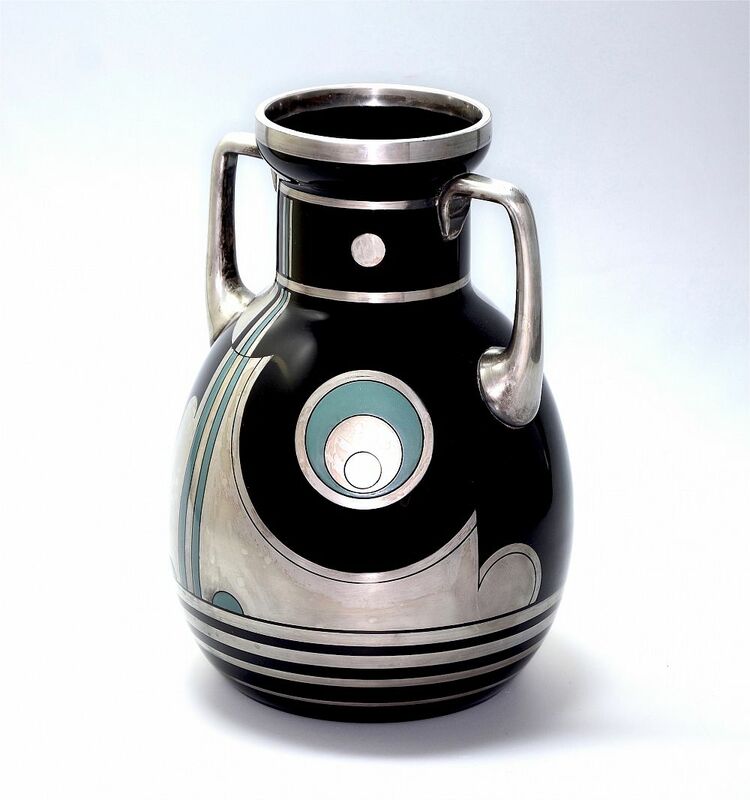 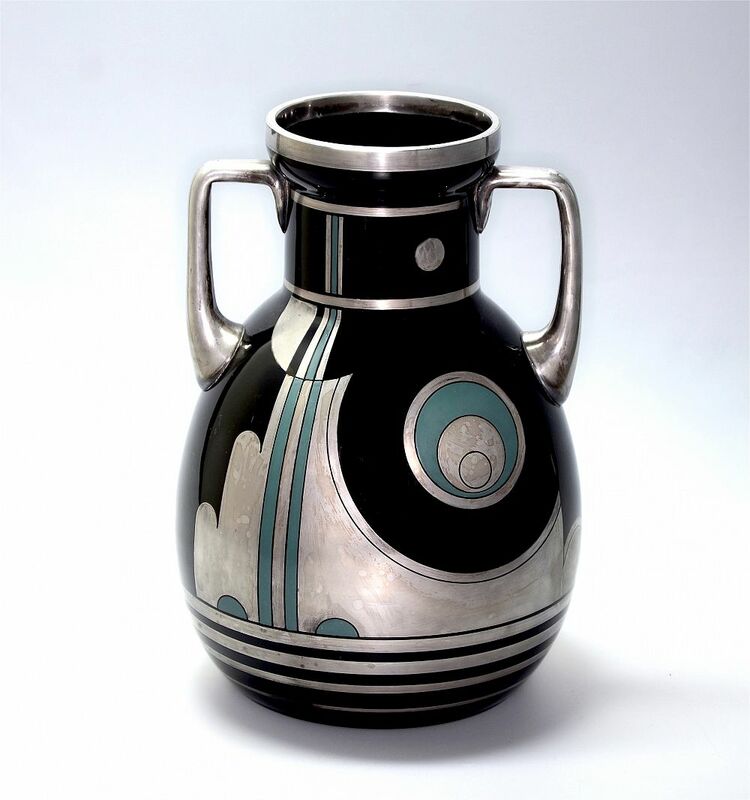 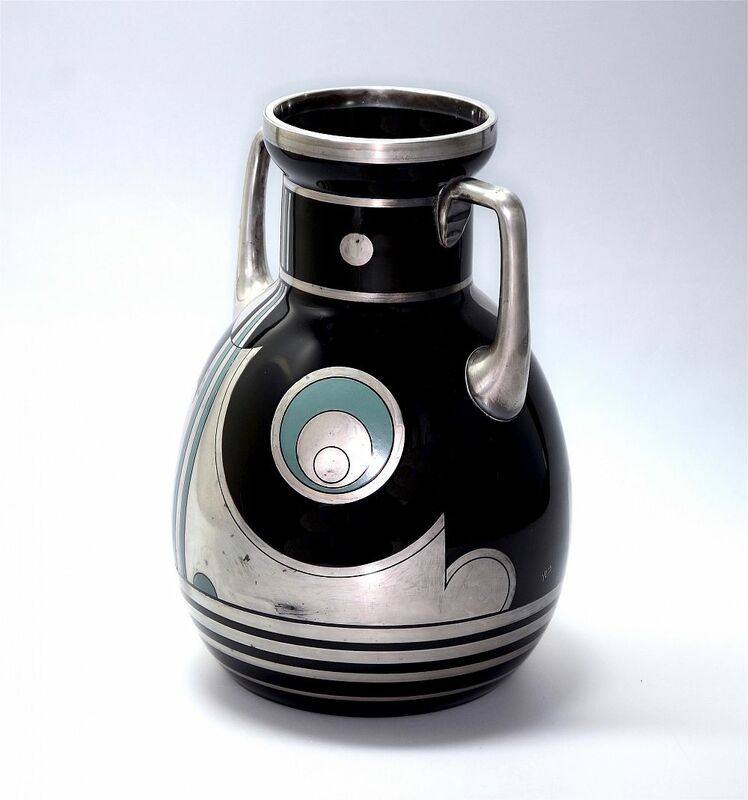 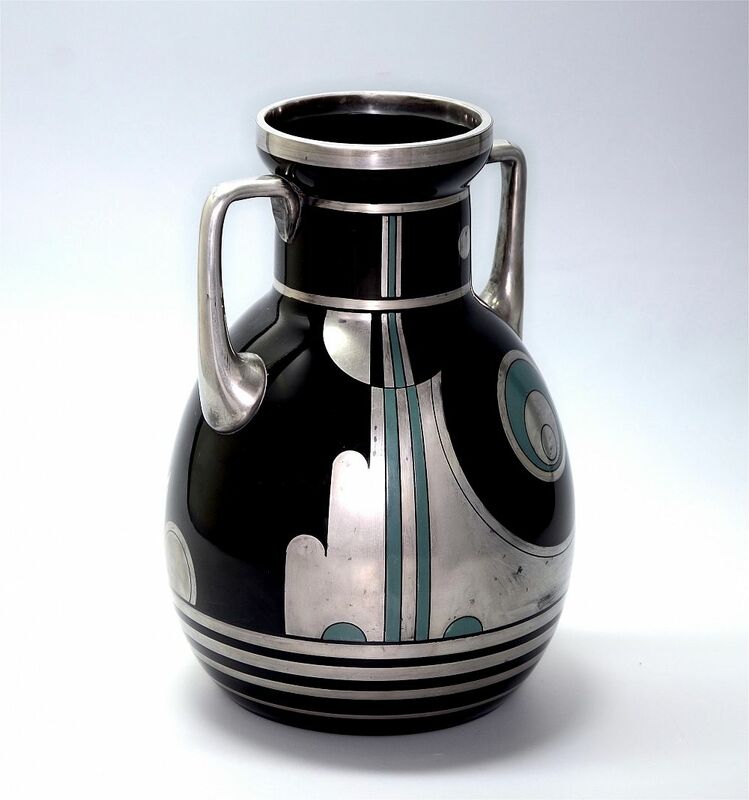 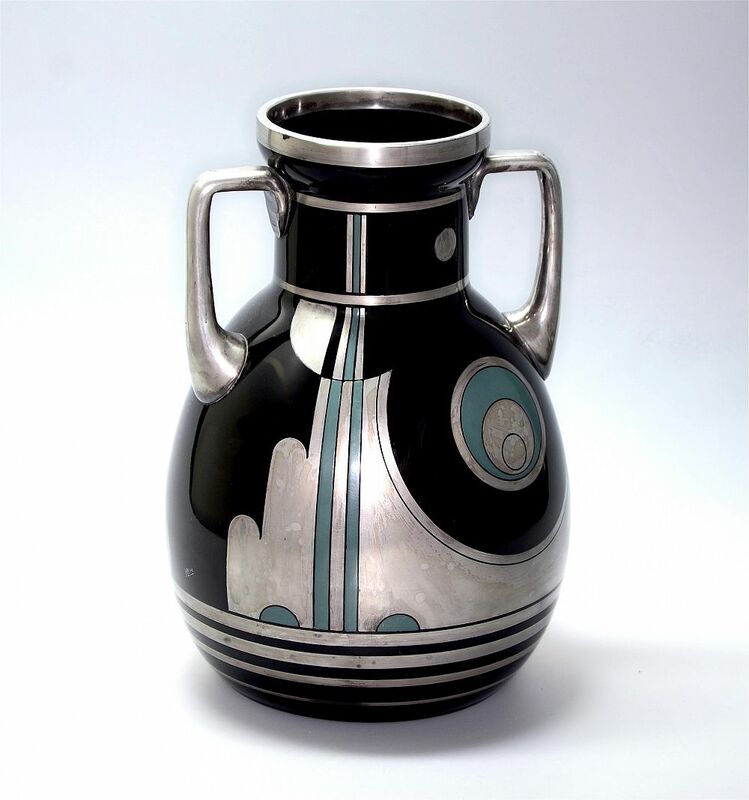 Made during the Art Deco period, the black glass is overlaid with a geometric pattern in green enamel & silver. 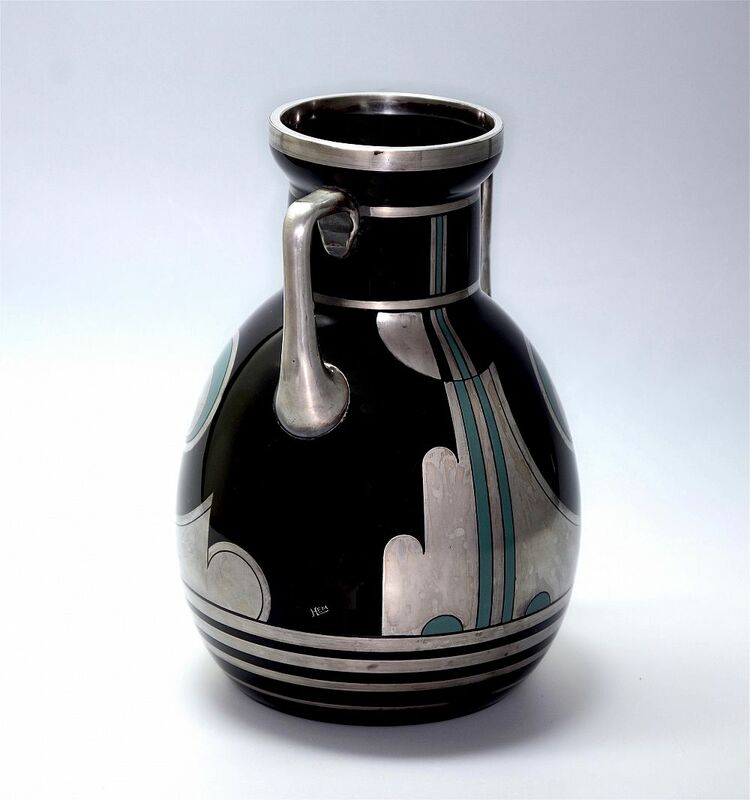 It is signed "HEM" on one side.